Frustrated over the lack of space in your tiny bathroom or simply can’t stand the mess inside your bathroom cabinets? Learn how to maximize your bathroom space while keeping bath essentials neat at every corner. 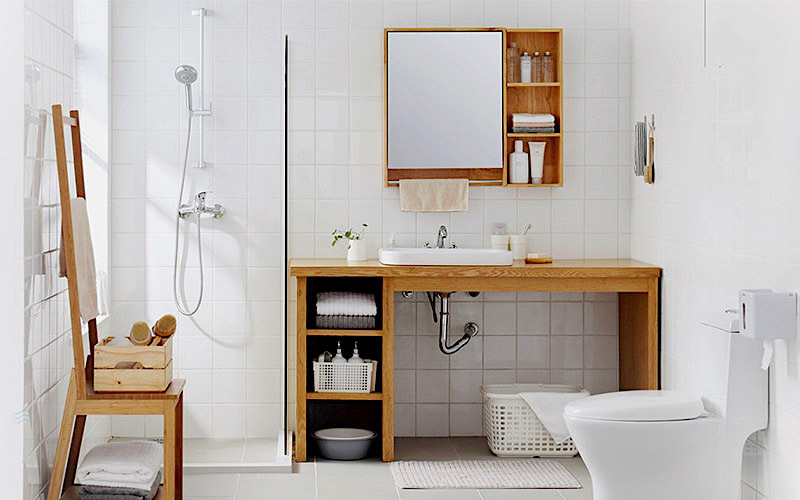 We have spilt the bathroom into 4 corners – behind the door, sink area, shower area/ bathtub and toilet area to guide you through bathroom organization in a breeze. If you have a small bathroom, utilising every inch of the space wisely is important. 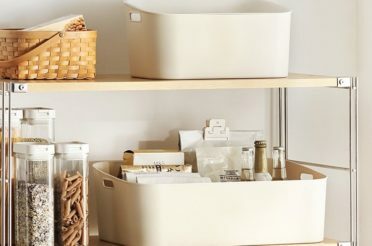 Do not overlook the back of your bathroom door as an organizing space! 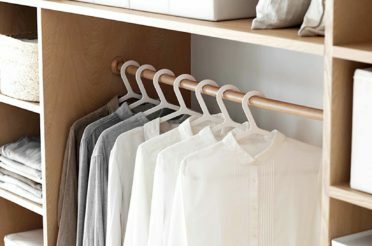 With just a simple addition of a rear door hanger, your door instantaneously becomes a handy space to hang your towels and clothes. The sink area is often where things start getting messy and cluttered. Discard any toiletries that you have not used at all for the past month – be strict about this and purge anything that you no longer use! Browse our range of standing racks here. For toiletries such as toothbrushes and toothpaste, mounting them onto the wall saves space and provides convenience. With an in-built toothpaste dispenser, our Exquisitor Toothbrush & Paste Holder helps you to dispense toothpaste without making a mess! If blow-drying your hair is part of your daily habit, a smart move is to hang it directly onto the wall. This makes your hairdryer easily retrievable. Plus, no more tangled wires! Your procrastination might be holding you back to start organizing, here is a simple tip you can try out. Tip: By placing an aromatic reed diffuser and a small potted plant on the countertop, it acts as a visual reminder to stay organized. It has been proven that when your bathroom smells refreshing, you will feel more motivated to keep things tidy and neat! If your shower area does not come with built-in shelves, wall holder and standing rack come in extra handy to organize your bathing essentials. Tip: Only keep what is necessary for your daily bath routine to avoid building up clutter. 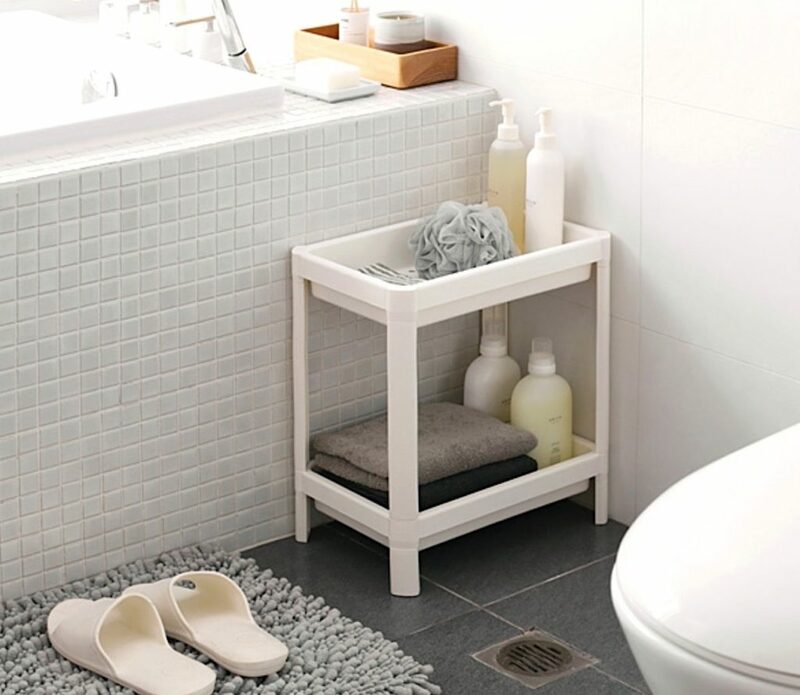 A smart storage idea for maximising space is to utilise the corners of your bathroom. 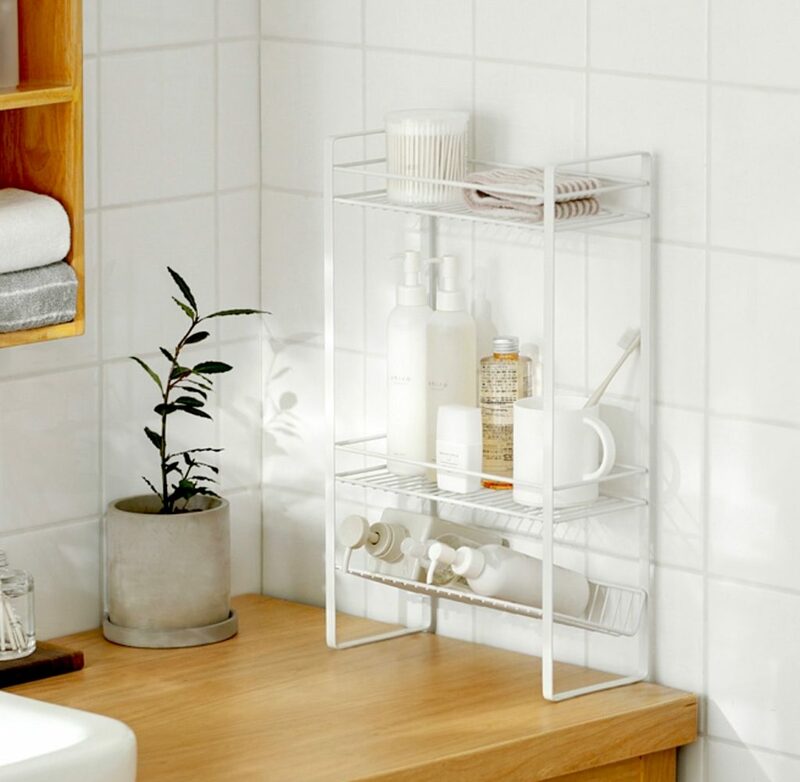 Designed to fit corners of the bathroom well, our Kurve Corner Bathroom Wall Holder stores your bathing essentials such as your shower gel and shampoo neatly. 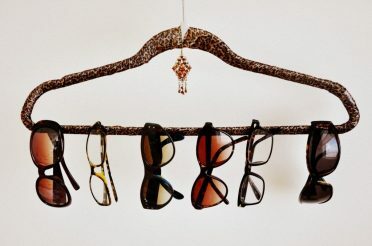 An alternative to using wall holder is using a bathroom standing rack! With drainage pores in each layer of our Everyday Standing Rack, you wouldn’t have to worry about water accumulating. It is important to keep things clean and hygienic around the toilet area to prevent bacteria from breeding. 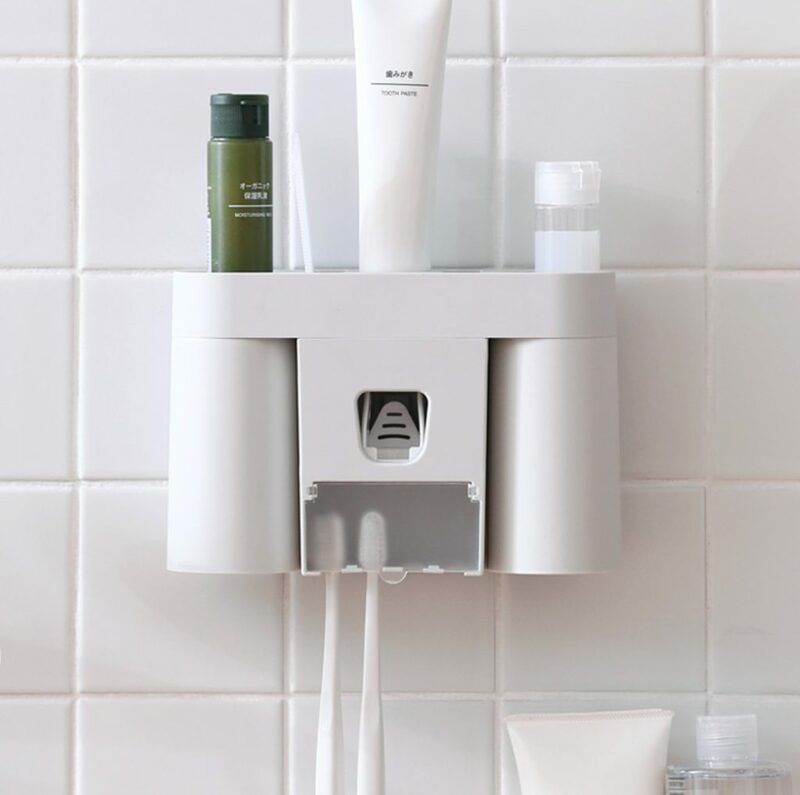 Store your weekly cleaning tools within reach without taking up any bathroom space with a wall holder that has it all! 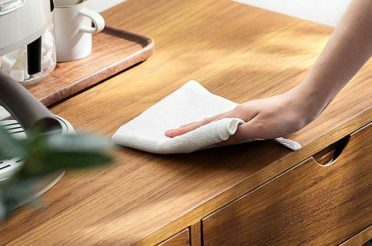 Cleaning tip: If you are looking for a natural stain remover to replace your existing one, consider using vinegar or Coca-Cola. 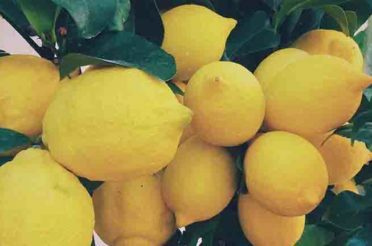 Pour them on the rims of the toilet bowl and let it sit for at least an hour before scrubbing it. It is advisable to clean your toilet at least once a week to prevent bacteria growth. 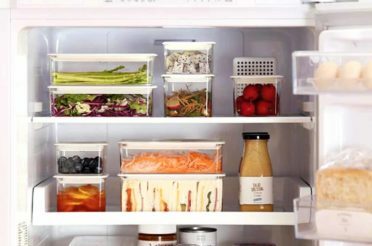 With these tips in mind, start organizing every part of your bathroom today! Establish a bathroom decluttering session once in a while to get rid of unused toiletries that takes up precious storage space in your bathroom. Share with us a before and after photo with these bathroom organization tips on our Instagram or Facebook – we would love to see how it has helped you! 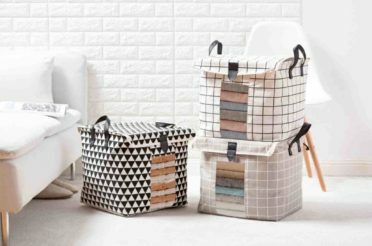 P.S Check out our Bathroom Bundle that contains a range of essentials to help you get started with bathroom organization.